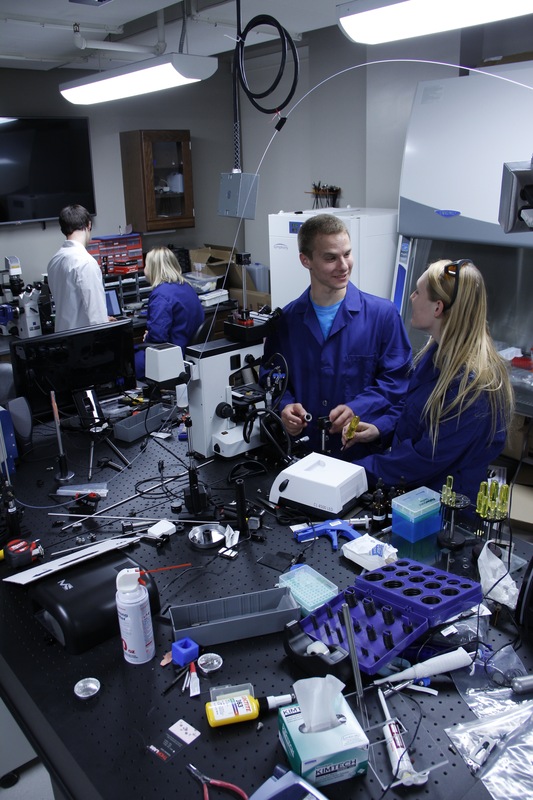 The interdisciplinary curriculum will stress mastery of mathematical methods, programming ability in Matlab, LabView, R and other languages, and extensive experiences in fabrication of prototype medical devices. Though this program will incorporate strong, broad based engineering fundamentals, there will be a research focus in biomedical optics and biosensors. Nursing faculty will facilitate the education of students in the art and science of nursing to provide ethical, holistic, culturally competent, and population-based care in collaboration with a variety of health care systems. In addition to learning engineering and nursing, students will benefit from class and clinical experiences that incorporate the Toyota Production System principles (used to address safety, cost and efficiency) and the American Association of Critical Care Nurses' Synergy Model. The curriculum includes 208 Credit Hours, including 49 credit hours of engineering and 76 credits of nursing. In addition to math, science courses and labs and the University core curriculum, students will take the following courses.